Arthur Pelullo: On behalf of Banner Promotions and Top Rank, and naturally Joe will say introduce himself dealing with his company; we'd like to thank everybody. It is going be a heck of a night. It's going be a great show. Chris Algieri, who's with Joe DeGuardia of Star Boxing, is undefeated. A Long Island native, he's basically fighting in his backyard. It's going to be a very difficult fight for Ruslan Provodnikov. And we're very excited about being at the Barclays Center. Brett Yormark and his team have been very helpful to us. HBO is going to televise the event live in the U.S. and it will be seen live in several countries as well. Joe DeGuardia: Thank you, Artie. I'd like to echo your comments. I'm very excited for this fight on June 14. And I think it's going be a fantastic night of boxing between being in Brooklyn, being on HBO and having such a fantastic co-feature fight -- Demetrious Andrade's first world title defense -- and the main event fight, Ruslan Provodnikov, who everybody knows is one of the toughest fighters in boxing today, against undefeated Chris Algieri of Long Island. I'm really looking forward to a great fight and glad to be there on June 14. Vadim Kornilov: We're excited to finally have Ruslan fighting in New York, considered one of the most Russian-populated cities in the United States and we're very excited to see all the fans come out -- a lot of people from all over the United States to see the fight live. We hope that Chris is going be as well prepared as Ruslan to make this fight a great looking fight for TV and for all the fans. Freddie Roach: We've had a great training camp, great sparring partners. We know Algieri is great young boxer and we're getting as ready as we can for him. And we're doing very well. I'm happy where we are right now and we will be in New York on Saturday night [May 31] to finish up the work and can't wait--we can't wait to get this one going. Joe DeGuardia: At this point in time I'll introduce both Chris Algieri, undefeated, 19-0 from New York, Long Island, New York, pride of Huntington and his trainer as well, Tim Lane. Mr. Chris Algieri: I'd just like to say thank you. And I want to say hello to everybody as well. I'm very excited for June 14, preparations are going really well out here in training camp in Las Vegas and we are very happy with where things are going. June 14 is going be a great night. It's a real honor to be fighting at the Barclays Center and being HBO and to be fighting in my home state. I'm looking forward to it. Ruslan, do you feel that you have to win in fantastic fashion now so that big name opponents will have to face you? I know that you feel you've been ducked. Do you feel that in order to get big fights now you have to win in fantastic fashion? Ruslan Provodnikov: Definitely it's a big responsibility for me. Most importantly because now I'm a world champion and I'm defending my title. I have to fight like a world champion. I will try to finish the fight in a great fashion, as always, because I always do. How do you feel with the frustration of not getting a big name opponent for your next fight? Chris is a very good fighter, but he doesn't have the name value right now at least of Juan Manuel Marquez or Tim Bradley. Arthur Pelullo: Neither did Ruslan before he fought Tim Bradley. So, you can't look past anybody. That's just my two cents. They thought it was going to be a workout against Bradley. And, believe me, Chris Algieri is a very difficult fight. And I'm sorry for interrupting. Ruslan Provodnikov: No, it does not bother me. I'm very loyal to my space in life and Chris is a great opponent. He's a great fighter. And this is what happened and this is the way it should have been. I know my time will come. Artie, I just wanted to ask you, kind of piggy backing on what was being said, are you taking any extra measures to reassure that Ruslan doesn't underestimate Chris or is it pretty safe going that he's taking the fight seriously as you'd want him? Arthur Pelullo: We always take fights seriously. And we get ready for every fight 100 percent. So, I mean at the level we're at right now, the World Title level, you can't take anyone for granted. And we're in great shape for this fight. Chris, about your underdog status right now, do you understand that it's simply because you haven't had a chance at the spotlight yet? I mean granted you have definitely been on Friday Night Fights as have a lot of great fighters, but you're not getting the attention Ruslan has. 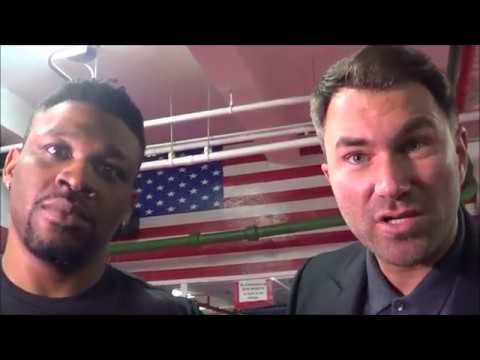 Are you offended by that or do you just see it as 'Oh well, that's going be the case because I haven't really established my name and I won't be able to until I beat someone like Ruslan?" Chris Algieri: No, I don't take any offense to it. It's just the nature of the game in this situation. I haven't had those big name fights yet. I've only been on TV a couple of times. But I have been working very hard throughout my entire career and getting ready for this opportunity. And on June 14, everybody's going to see who I am and see what I bring to the table and that's when everyone can really see what Chris Algieri's all about. Chris, your background is in kickboxing. At this point do you see it as beneficial to your boxing career having that background or detrimental? Chris Algieri: I definitely do see it as a benefit. I've been in big fights and I've fought fighters from all over the world before. I've been in very tough fights, physically demanding fights, long fights. But, I think that really has carried over in my boxing career and has brought me to where I am today. Ruslan, the nickname Siberian Rocky, I was wondering who gave it to you and if you are aware--if you have watched the Rocky movies and what the nickname means to you if you have, indeed, seen those Rocky movies. Ruslan Provodnikov: The nickname Siberian Rocky to me means that a lot. It means to never give up. Freddie, how much time have you had with Ruslan in contrast with the last camp ahead of the Alvarado fight? Freddie Roach: We've been doing very well now and we had a full camp together and last time I was busy with Manny so I missed the last week of the camp. But, this time I'll be there the entire time. Ruslan and Miguel Cotto will both be traveling together to New York. So, we can all work together in New York and we've had a full camp this time. 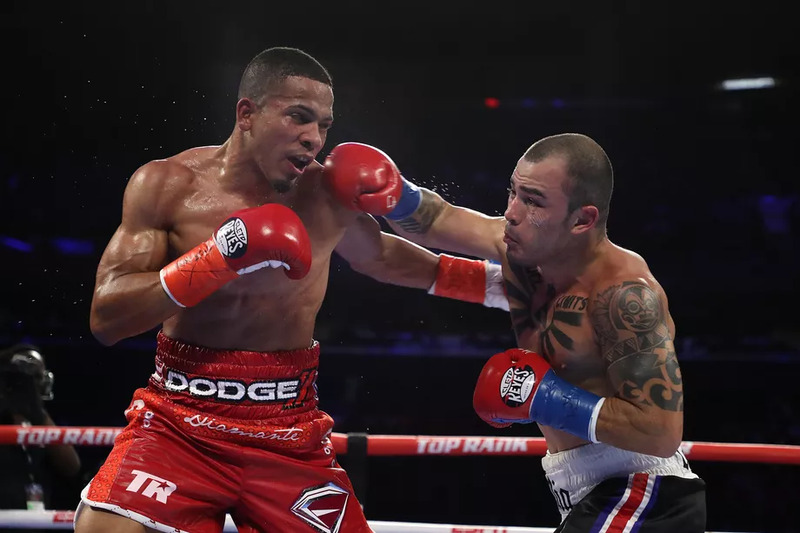 Was it Manny Pacquiao last time or was it really the Cotto [fight against Delvin Rodriguez] camp the week ahead of time? Mr. Freddie Roach: It was actually the Cotto camp because the fight was in Florida so I did take Ruslan to Florida with us to be with us for that week. And then he and Marvin traveled, and Gavin traveled too, for the last fight. From your perspective as the trainer what is the difference for Ruslan in terms of what he gets out of that additional time with you? Freddie Roach: Well, we work very well together, but Marvin is a great assistant also because Marvin's one of the assistants that doesn't change. He knows my style. He knows what I want and he follows instructions very well. And he did a great job in that fight against Alvarado, so I don't think we lose anything with Marvin and Ruslan being together. Tell me about--you said he does a great job. On fight night and in training camp last time ahead of the Alvarado fight, what was it that Marvin really brought in terms of continuing your game plan and helping Ruslan get that success that he did? Freddie Roach: He knows the rules and so forth. We had a little problem with the other camp [Alvarado] on a rules issue. And we won that argument. And then Marvin's professionalism in the corner. He doesn't get excited. He stays calm. He talks to his fighter. He doesn't scream at them. He doesn't yell at people. People don't respond to being yelled at. And he's very good at that. He's the best assistant I've ever had. 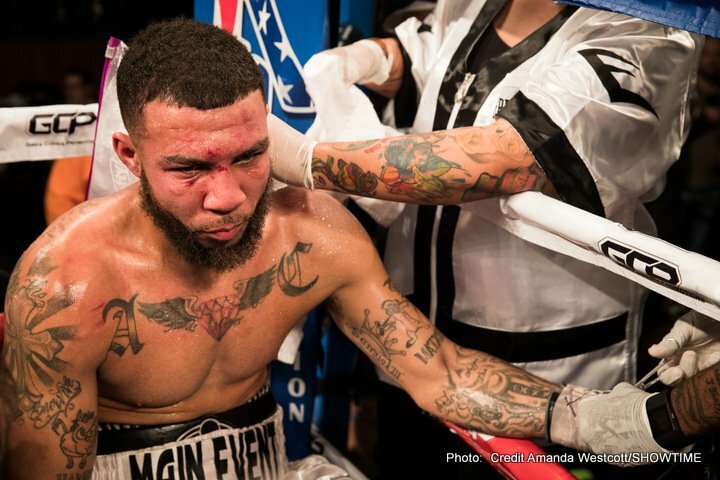 What will Marvin's role be with you for this upcoming fight with Chris Algieri? Mr. Freddie Roach: He'll be right beside me. And we'll talk about the strategy. We have a strategy for the fight, but we'll talk about what adjustments we need to make during the rounds and we believe the lead guy in this fight for Ruslan. Artie, I know that the fighters themselves don't like to look beyond the current opponent, but what are you looking at for Ruslan should he triumph on the 14th? Arthur Pelullo: The most important thing, and you said it, is June the 14th. So, right now there are a lot of fights out there for both Chris Algieri and Ruslan Provodnikov, whoever is the winner. I really would just like to stay focused on this event. I actually don't believe getting into details about what's out in the horizon because that means you're assuming you're going to win. And I just think that right now the Algieri fight, when it was first made, a lot of people didn't believe that it was going to be a difficult fight. And I knew it all along that it's going be a difficult fight. I know he's a tough guy. I know he's coming to win. So, for me to start talking about future events, I think that's premature. Right now it's Chris Algieri and he has to get through fighting an undefeated kid, which is a very difficult fight. Arthur Pelullo: So, that's my best answer I can give you about a future event. So, obviously, the fights that Ruslan had last year, both the closest loss with Bradley and the win over Alvarado, were big for his career and brought him to this position where he's at now -- where he gets to be the A side. 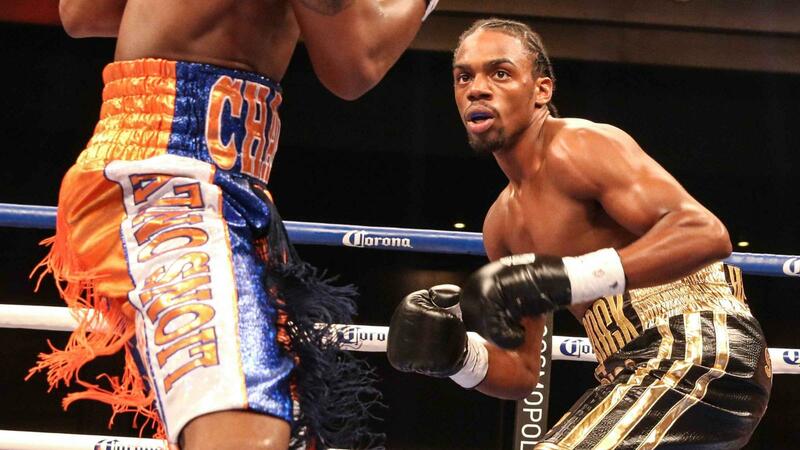 But, should he triumph over Algieri on the 14th, what do you believe that that would do for his career? Arthur Pelullo: Both of these kids have to win. Their careers are predicated on winning. It's not like you're Donovan McNabb, he's playing for the Eagles. He's getting $10 million year, whether the Eagles have a good year or a bad year. The winner of this fight will move on to a big fight. So, on June the 14th, at about 1:00 a.m., come over to ringside and ask me the question then about what the next fight is. And I'll let you know. Chris, you've seen Ruslan fight on TV. What do you think that Ruslan does well and what do you think are some of the weaknesses that you've seen in his game? Chris Algieri: Ruslan is a great fighter and a great champion. It's a real honor to be in there with him. I have seen him fight before. I'm actually a fan of watching Ruslan fight. He's a pressure fighter. He comes forward. He's super tough, very durable. He's a good strong puncher and he maintains his pressure throughout the bout. He moves his head when he needs to and crosses the line and he closes the distance very well. Those are the things that my team has been studying to work on. But, just based on past fights, there is a weakness with dealing with a jab and a boxer and movement, but really those are the things that we've been trying to work most on. But, at the end of the day it's a fight. Ruslan is going to press the action. I'm going o have to stand and fight at times. So, we'll be ready for that as well. Are there any opponents that you faced that you feel are similar to what Ruslan will be bringing to the table? Chris Algieri: Yes, I think I've fought a couple of guys who were pressure fighters and big punchers. My last opponent Emanuel Taylor was a very, very well-known knockout puncher. He had one-punch power. He also threw a lot of very tight short punches. I fought a fighter, a Puerto Rican fighter, Jose Peralta, who is a shorter, stockier pressure aggressive guy as well. So, I feel like I've dealt with similar, but not quite like Ruslan-type fighters in the past. Chris, how does kickboxing training translate into boxing and how do you feel you're going to capitalize on such a big fight? Chris Algieri: Well, in terms of the question about kickboxing -- a lot of the techniques are very similar to punch techniques. The fact that I've been fighting without a headgear for such a long time I think has really helped with my defense in my pro boxing career. But, in terms of how this sport is fought; it's a totally different pace. Boxing is a lot faster. Conditioning is a lot more intensive. Fights are longer. But, I think I've made those changes over the past 19 fights and conditioning has never really been a problem. But, in preparation for this fight, my last couple camps have been going really well. And we didn't really see that we needed to change too much. My team, my coach, my camp, has put in a tremendous amount of work to develop a great program for this fight for my strength and conditioning. And my trainers, Tim Lane and Keith Trimble, have a great game plan that we've been working on. And we've been executing. So, we're ready for this big fight. Chris, what gym in Vegas have you been training at for this fight? Chris Algieri: I've been training at my coach's gym, Xtreme Couture MMA. It's actually an MMA gym.Tim Lane, trains at that gym, so we've been stationed over there. What's the philosophy behind training in Vegas and being so far away from Long Island and how it benefits you in terms of minimizing distractions. You've been doing this since, what, 2010 I think? Mr. Chris Algieri: I've been moving around quite a bit to training camps. Long Island is not really a great place to be a professional athlete. Things are very far away. Things are expensive. There are no other top level pros in the area. You generally have to go west and go into Brooklyn, into Manhattan, which is quite a trek from Long Island. So, it doesn't really make sense for me to stay out there. It just makes things a lot more difficult. I have a trainer at home, Keith Trimble, who I work with while I'm in New York. And then I have my trainer here, Tim Lane, here in Vegas, so we come out here and train here. And there are just great fighters all over the place. There are great gyms that are in a very close proximity. And there are top level guys here at all times. In terms of prepping for this fight, was your sparring specifically designed to find pressure fighters who are like Ruslan, because you've been talking about his ability to pressure? Was that the focus of your sparring or did you change it up? Mr. Chris Algieri: Absolutely. My coaches set up this camp perfectly. And they were out here in Vegas scouting out perfect sparring partners for this camp while I was in New York training and getting into condition. I had some good sparring while I was in New York and then I came out here and have had great sparring thus far. Freddie, what impresses you about Algieri when you watch him on tape? Freddie Roach: He's a good boxer. He moves well. He's has a good jab. He's a solid boxer. But nobody's perfect and we have a very good game plan. Do you think he'll wilt under Ruslan's pressure as the fight goes on? Is he vulnerable to body shots in your opinion? Freddie Roach: I think everybody in the world is if you work on it hard enough. So, we'll see. Vadim, you had given me perspective on Ruslan's popularity in Russia compared to some of the other fighters. Can you address his popularity? And, from what I understand, he the most popular of fighters from Russia? Vadim Kornilov: Well, in Russia I think right now is between Kovalev and Ruslan. But there's been a lot of different polls and ratings and stuff like that that have shown Ruslan coming ahead. I think they're about at the same level. Ruslan passed the bigger fights and fought some bigger opponents. I think because of that, Ruslan has taken off a little bit more. What do you think is his appeal? He really seems to come off, especially the night that he won the title, you know, you watched HBO's "Two Days With"--before the Alvarado fight -- and he brought his mother. And he was really emotional. He mentioned fighting for the people. Vadim Kornilov: He's very grounded. He's not spoiled or jaded. And I think people can really relate to that. Vadim Kornilov: It's the type of person that he is and the way he is with people and the fans, and the way he fights. I think people can really relate to that and just by watching the way he is in the ring. I think that basically goes to people's love for him. Ruslan is fan-friendly inside and outside the ring. Arthur Pelullo: I think he has the right nickname, the Siberian Rocky because everybody can relate to the underdog. And everybody can relate to a guy fighting his way out of less than ideal conditions -- whether it's poverty or a low income environment -- to reach a better level financially in their life. A better life in general. When he fought Bradley he was considered just the opponent and it was a payday. And what he did was he rose to the occasion. People like that. People can identify with somebody who's a working class person. There were a lot of great fighters in history that were like considered working class guys and everybody wanted to be a part of their bandwagons. And they attracted fans because they were the people's guy. And Ruslan's a people's champion. He's a tough guy. And he's straight. He tells you the way it is. After he reviewed the tape he said listen, I could see how people thought Bradley won the fight. People like that. It's like when he -- if he lost a fight, he lost the fight. If he won the fight, he won the fight. That's what people want to hear. People like straight stuff, straight talking. And the Russian citizens, they're right up there. They want the truth. They don't want a lot of good bologna. And I think they appreciate that he's a straight forward guy. And he's has a lot of Mexican fans and American fans because on top of all of that he's the most TV and fan-friendly fighter right now in America. That's my opinion. Ruslan, please explain where you're from, what you overcame and also what you feel personally - what you try to bring across in appealing to your audience? Ruslan Provodnikov: I came from a small village in Russian called Beryozovo. I had a very hard upbringing. Hard work. The reason, you know, for the fans I think that's a good question for the fans. I don't know why. I'm doing a lot of ... that's a good question for the fans to ask why they like me. Why do you fight the way you do and when you say things like the belts aren't important, the money isn't important, it's the way I fight and what people think of the way I fight. Do you think that is an aspect of your fighting style and your personality that goes to your fans? Ruslan Provodnikov: Everything I said is because the way I fight comes from inside of me. It's my character. And I'm probably never going to fight differently. And people love me probably because of that, and of who I am. I am who I am in the ring and I just put everything in the ring. It's who I am. Chris, you talked about two of the guys on your resume who you feel are most similar to Ruslan. You talk about which fights in particular where you feel like he's had problems, talked about his jab. The jab that seems to bother him. Can you talk about the fight that you feel like he's had the most problems in? Okay, anything from watching his against Herrera? Chris Algieri: No, I hadn't seen that whole fight to tell you the truth. You know, my coaches did and they've said that they saw certain things and certain aspects that we want to capitalize on. And we've been working on those things. But, like I said, I don't really watch too much tape. I'm a fight fan. 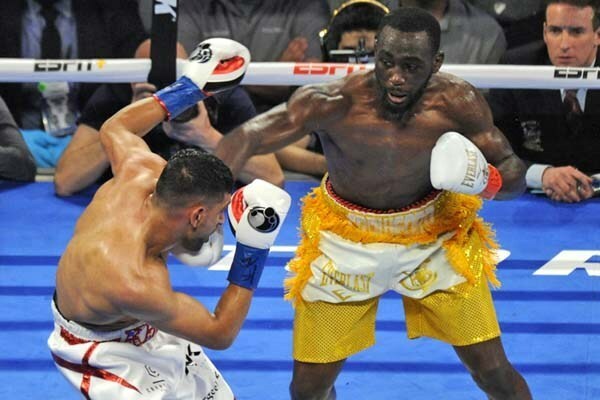 I don't study my opponents all that much in terms of their past performances because boxing is all about rhythm and really you can't watch a guy's rhythm from watching a fight. Everyone's different on fight night. Freddie, you talked about not wanting Ruslan to fight Manny Pacquiao. If he keeps winning and if Pacquiao beats Marquez or whichever fight is next, don't you think the demand will increase for him to fight Pacquiao. And if it does will you then relent and allow the fight to happen? Freddie Roach: I have both fighters and I would hate to lose one of them, one of the fighters. But, the thing is if the demand does come again, we're going to have to let it happen and it'd be a sad day for me. But the thing is, I probably sit both fights out and just watch it on TV myself. You wouldn't be at either corner? You've said in the past Manny's your number one guy. Freddie Roach: Manny is my number one guy and so forth. But, Ruslan's very close to me. And Ruslan's been a very hard worker. But, the demand is getting closer and closer, so with the win here it could happen. And Manny is running out of opponents right now, and that's the way it goes. But you would watch the fight on TV? Arthur Pelullo: We'll give him a ticket. Freddie, you got a ticket. Don't worry about it. See, you got a ringside seat for the fight. Freddie, no problem. If everything goes according to plan and according to your expectation, how will this fight go and will it end in a knockout in approximately what round? Freddie Roach: We have a tough opponent in front of us and he has been knocked out before in kickboxing matches. So, we will put pressure on him and we will do the best we can to get him out of there. And I think every fight should end in a knockout and I look. We don't go looking for a knockout. We're going to go out there and win every round one at a time. It won't be easy up to that point that's for sure. Hey, Chris, like you I have a BA from the Harvard of Long Island Stoney Brook. And I'm curious, as you make a decision to go from possible pre-med into a sport that so many people would see as counter to healing, towards health et cetera. Chris Algieri: The way I look at it is boxing is definitely a hurt business, but at the end of the day it is still a sport. And there are certain requirements, you know, required of each fighter medically to make sure that we're all fit to fight. And I feel that the way that I prepare for fights and the way that my style is that I take as little damage as possible. Of course, there's a tremendous risk involved, but my plan is to minimize that risk the best I can by being as prepared as possible and fighting the way that I do. But, in terms of just my future plans and where I come from, you know, it doesn't really determine. Boxing is my passion. This is what I'm doing now and I can still do it. I can still perform it at this high level. And I'm honored and blessed to be able to do that. But, there's life after boxing. And there's always time to go to school. There's always time for me to pursue what my future career goals are. And this is what I'm doing now because I can and I love it. Do you feel based on your academic background and your diverse athletic background that you have an intelligence edge when you're in the ring? Chris Algieri: I would say so. I mean, I fight in a way that I use my intelligence when I fight in a way that definitely IQ can help. But, you know, it is about the boxing IQ when it comes to just stepping inside the ring. Being good at calculus is not going to help me in a fight. But, being able to analyze certain situations, especially in a mind-body sense, like you said, because of my athletic background definitely has helped my progression in the sport. I think I've learned at a fast rate because of my past experiences and because I am a student of the game. So, truth be told, when you're in schools like the schools that you're in and you're getting that kind of education and then you tell the people around you that you're going to box professionally, how many stares did you get? How many wooly eyes did you get? Chris Algieri: Countless. You know, I was a lab technician for years at our culture and Harvard Laboratory and initially no one really believed me that that's really what I wanted to do was to be a fighter and that I was fighting. And then more and more people were seeing what I was doing and they were coming to fights and they were watching me fight. And I think I turned a lot of those people around. I had a lot of people in the science community trying to talk me out of fighting, but I really don't get that much anymore. I think that people are a lot more on board because of where we've gone and are excited to see how far I can take it. Chris, we've seen the two more rounds documentary and we saw what Ruslan did to Mike Alvarado, a true warrior, one of the best action fighters of this era. How are you prepared to deal with the mental aspect of the fight? You've got a man across from you, who's willing to take your soul, so to speak, and is going to try to break you down and make you quit. But, despite the athletic nature of the fight, how do you plan on dealing with the mental aspect of the game and how do you overcome any fear you may have? Chris Algieri: Well, I think that one of my best aspects, as a fighter, is my mental strength and my mental advantage. I am fully committed and I sacrificed quite a bit for this fight and this career of mine. And, like I said, this is a passion. And my mental focus definitely has helped me throughout my entire career and I think it's going to continue to pay dividends in this fight. Do you have any fear? Do you have any fear fighting Ruslan Provodnikov? Chris Algieri: I mean I believe that there's fear involved in any fight. But, when it's fight night and the preparations are over, I feel nothing but confident. I'm looking forward to June 14. Everything is going the way that I had hoped and dreamed. And I'm actually really looking forward to this fight. Now, it's an opportunity for me to showcase my skills and to be in with one of the top guys in the game. So, it's just a great opportunity all around. I don't concentrate too much on the fear. I'm just getting as prepared as possible. Chris, you've fought so many fights of your professional career in Long Island in front of hometown crowds. And I think my understanding when this fight was made that one of the reasons, among others, that you got the fight was because it was going be in New York and most likely you would bring a crowd with you, which would perk up the attendance at the arena that you're having this fight at. My question for you is how big of a deal is it and how much does it mean to you to be in your first world title fight and be doing it in front of your hometown people? Chris Algieri: It's crazy, but this is what I envisioned in my mind for my first world title fight. I had envisioned it being in Madison Square Garden, of course, because there was no Barclays Center 10 years ago when I was thinking about this. But, it's amazing to be fighting in the Barclays Center. It's such an incredible arena. It means a tremendous amount to me to be fighting for a world title, my first world title fight, in my home state. So, it makes it that much bigger and that much more of a grand event. And the other thing I wanted to ask you about is style of the fight. We know, and that Ruslan has talked about in his call, he's about pressure and coming forward and going to you the way he did against Bradley, the way he took care of Alvarado. You are more of a boxer. I mean your knockouts are not the way his are. Is this basically comes down to, if I'm wrong here, you've got to outbox him to win this fight. He's not a guy that goes down very often. He's not a guy that's been stopped. Do you look at this as you've got to just go out and box pretty much the perfect kind of fight and win that decision otherwise it could be trouble for you? Chris Algieri: No, the monster of campus and master boxer. We've got to go out there and be a master boxer. This is a boxing match. It's not a barroom brawl. So, I've got to go out there and use my skills. And as much as Ruslan is a come forward and pressure fighter, it takes a certain amount of skills. And I know him and his team have been working on -- I'm sure working on more boxing skills and trying to work their game plan. So, it's not just a fight. This is a boxing match. And we're both going to go out there with our strategies. And, you know, a big part of mine is going to be trying to be a master boxer. Do you feel like if he is able to pressure you and get right close to you and take it to you that if you have to you can stand and trade with guy because that's the--he's going to try to impose himself on you compared to another guy that might also want to box with you. Chris Algieri: Yeah, I mean absolutely. There's no shot that that I'm not going to have to fight. This is a boxing match. Ruslan's going to put the pressure and he's going be in front of me. But, at the same time even though I'm deemed the boxer and he the puncher, once we're inside, I can still punch. I'm still going be in there, still being able to throw and use my skills on the inside. Ruslan, you are the pressure fighter, the guy that likes to go there and get his guy mix it up, not necessarily the technical boxer. Is it all about for you tracking this guy down and getting him out of there? Ruslan Provodnikov: All my career I've had to fight guys that were taller than me and had longer arms. And all I've had to do is try to get to them and try to pressure them. It's no secret what my plan is. Of course I'm going to pressure. We know what he's going to do. I mean they all try to box me and they all try to move and jab. But, I'm going to follow my plan and always do is that break the first one down outside. I can break him down from the distance from up close and from anywhere. And but the question is always how much can--how long can he jab? Freddie, I wanted to ask you about that also. You know, how well he'd be able to go after a guy like Chris who is longer and is also a good boxer who has good movement? I mean Ruslan has not faced a lot of guys like that in his career it seems to me. Freddie Roach: No, we definitely have to pressure him and cut the ring off and control the ring. And Chris is a very good boxer with long arms. And we have to break him down and get inside early, set traps and we need to really control the ring. And that's what we've been working on quite a bit. Ruslan's getting very good at controlling the ring and keeping himself in the best spot. So, I think that's the big key to the fight is who's going control the ring. When this fight was originally announced Nassau Coliseum was very much on the table to host this fight. I just wanted to know how close it was to actually taking place there and what swayed it to go to Barclays instead? Arthur Pelullo: Well, it was very close to happening there. We agreed to make a deal there and then we didn't actually -- weren't able to sign the agreement. The gentleman was out sick. And then I get a call from Vadim, 'don't sign anything.' You know, we have the opportunity to move it to the Barclays Center. And that's exactly what happened. Is there a plan for you to build up Ruslan in the East Coast specifically? I mean he's now fighting 30 minutes away from Little Odessa. Arthur Pelullo: Well, that was one of the main reasons why we decided to move the fight. He is in Brooklyn. He is 30 minutes from Brighton Beach. There is a large community of Russian people there. And we believe the ticket sales are going well. And we think that he's going to become a star in that area. And the manager, general manager, president of the arena and the president of the Nets Brett Yormark, loves it, loves the kid, loves the fight. And would like to have more than one Ruslan fight there because things are going so well. It doesn't hurt that, the owner of the Nets, Prokhorov, is a Russian too and he's been very good at helping us get everything through Vadim and Albert, friends of Vadim's in Russia, to help us get this deal. The bottom line is that Ruslan Provodnikov is a ticket seller and we think it's going be a good show. And where better for him to defend his title for his first time, but in an area where we hit the market of his people, which is a great idea. And we got lucky, timing is everything. Chris, question for you. I know you said it was always your dream to fight in New York, well, specifically Madison Square Garden. Was there any disappointment knowing that the fight wasn't a little bit closer to home and Nassau Coliseum as opposed to your friends having to drive in or take a train instead? Chris Algieri: No, the only disappointment was that being as Nassau would have been a very historic event because there hasn't been a fight there in I believe almost 20 years. But, other than that, no, not at all. You know, Barclays is, like I said, is a beautiful arena. It's brand new. Everything in it is pristine there. And they're holding--you know, it's pretty much the premier venue in the New York area now. But, in terms of my fans and I think the most of the people that I talk to are--were a lot more excited for it to be at the Barclays than even Nassau. It's very easy to get to from Long Island, so it's no issue. Arthur Pelullo: I'd just like to say thank you to everybody for joining us. Like I said, we think it's going to be a great event. As we just talked about, the main event, is a very intriguing fight because Chris Algieri is now where Ruslan Provodnikov was about two years ago when he fought Bradley. So, we'll see what Ruslan is made of and because he's supposed to win a fight like this, but it's a very difficult fight. And I wish both of them good luck. The co-feature being Demetrius Andrade is going to be a heck of a fight with the number one contender against Brian Rose. That will also be a fight will determine the direction of his career. As you all know, the press conference will be Thursday, the weigh in is Friday. The doors open at 6:00. The first bout will be at 7:00. We will be airing the fight live internationally. The international show will start about 9:00 p.m. There's plenty of tickets available. The ringsides are going very fast. But, there are a few tickets available in those price ranges as well. I want to thank everybody for coming, Chris, Joe, Ruslan, Freddie, and Vadim and everybody on the call. Thank you very much, guys. Joe DeGuardia: No, I'll just echo your comments, Artie. I appreciate everybody being on the call. I'm certainly looking forward to June 14 where I think we're gonna have a fantastic match and certainly a wonderful boxer, puncher, bull matador, all those kind of clichés that we'll be able to see on June 14. I think it'll be a great night. And be sure to be there at the Barclays Center or tune in on HBO June 14. Ruslan Provodnikov: You know everybody, it was a great conversation and I want to wish good luck to Chris. I hope you do have a great training camp. And I'll see everybody June 14. Chris Algieri: I would just like to thank everybody for being involved in the call and for everybody who came and called and asked questions. I wish the best of luck to Ruslan and his team and to Freddie and the rest of your camp, that I hope it goes well. And I will see you guys on June 14. World Boxing Organization (WBO) junior welterweight champion, the "Siberian Rocky" RUSLAN PROVODNIKOV defends his world title against undefeated scholar-brawler CHRIS ALGIERI, Saturday, June 14, at Brooklyn's Barclays Center. The fight will be televised live on HBO Boxing After Dark®, beginning at 10:10 p.m. ET/PT. The co-main event will feature undefeated WBO junior middleweight champion DEMETRIUS "Boo Boo" ANDRADE making his first title defense, against No. 1 contender and mandatory challenger BRIAN "The Lion" ROSE. These four gladiators boast a combined record of 87-3-1 (44 KOs)- a 96 percent winning ratio, with more than half of their total victories coming by way of knockout. The action-packed undercard will feature undefeated World Boxing Council (WBC) Continental Americas champion, Top-Five contender and Long Beach, Long Island fan favorite "Irish" SEANIE MONAGHAN, and the debut of professional women's boxing at Barclays Center with HEATHER "The Heat" HARDY of Brooklyn risking her undefeated record. Provodnikov (23-2, 16 KOs), born and raised in Berezovo, Khanty-Mansi, Russia in Siberia, is trained by Hall of Famer Freddie Roach. He had an incredible year in 2013. On March 16 of last year, he was on the wrong end of a hotly-disputed unanimous decision loss to undefeated WBO welterweight champion Timothy Bradley, Jr. Provodnikov, who moved up in weight for his first title shot, hurt Bradley numerous times during their slugfest, nearly knocking out the defending champion in the first and second rounds and scoring a knockdown in the final round. Two of the three scorecards had Bradley winning by only one point. 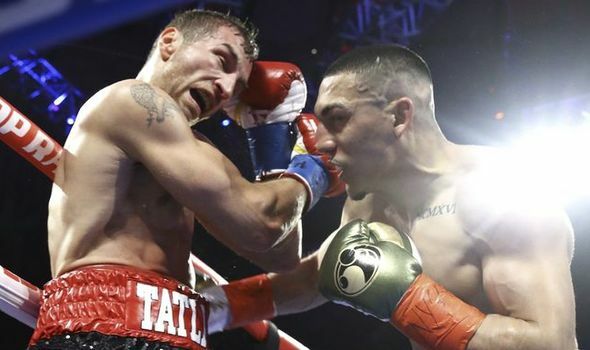 It was voted the Fight of the Year by the Boxing Writers Association of America. Provodnikov moved down to his natural weight in his next fight and challenged WBO junior welterweight champion Mike Alvarado, scoring a dramatic 10th round stoppage to claim his world title, last October 19. Five of Provodnikov's last six victories have been by knockout. Algieri (19-0 8 KOs), hails from nearby Huntington, NY. 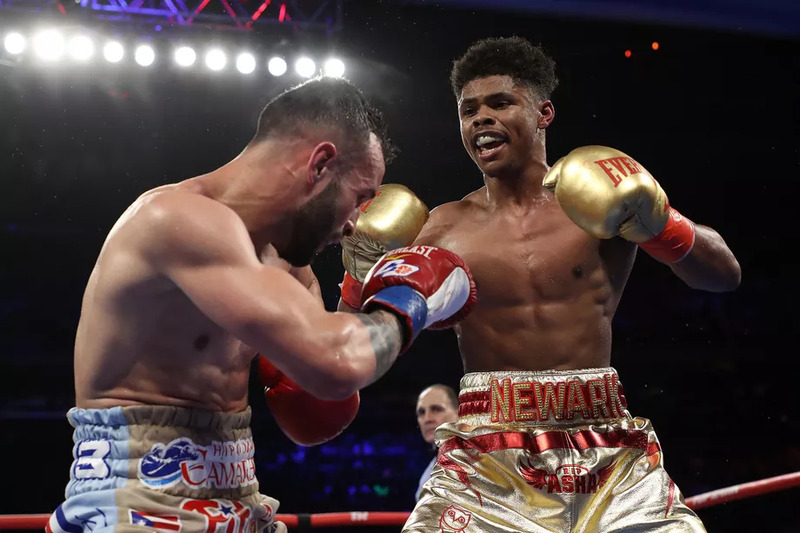 Over the last 18 months Chris has elevated himself to a world-class contender after accumulating significant victories over top prospect Jose Alejo, former USBA champion Mike Arnaoutis, and most recently highly-rated contender Emmanuel Taylor in February. He's as much a scholar as he is a brawler. He graduated from Stony Brook University with Honors in 2007 with a Bachelors of Science in Health Care Management and then went on to receive his Masters degree from the New York Institute of Technology. He aspires to attend Medical School.